North Melbourne Tasmanian Kangaroo stars Britt Gibson, Jess Trend and Jas Grierson were joined by The Outer Sanctum podcast for the first Kick and Coffee event at Arden Street. The live recording and skills session, held on Saturday morning, was an overwhelming success with approximately 60 spectators taking part in a variety of training drills. 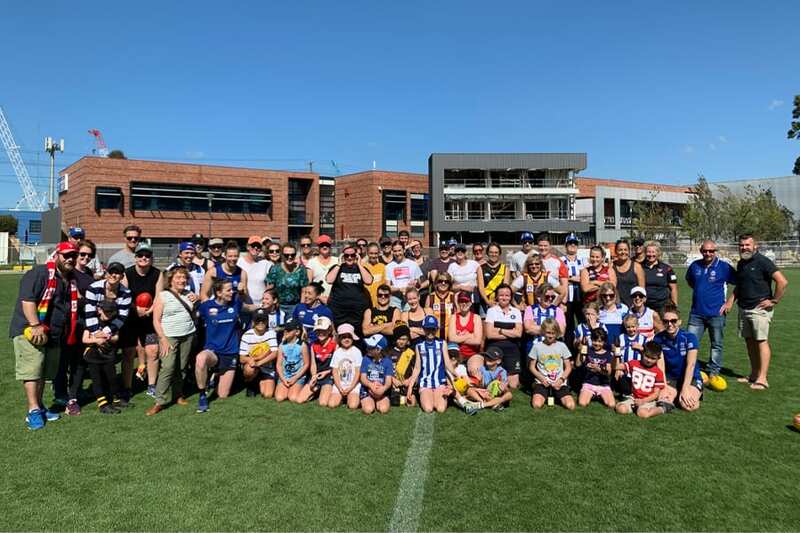 Followed by a tour of the revamped Arden Street facilities, a handful of lucky participants were rewarded for their efforts with a signed AFLW jersey amongst other prizes. “These were the kind of activities we didn’t have growing up,” said one participant. Those in attendance enjoyed some light snacks and beverages in picture perfect conditions, as the basics of footy were taught in a supportive environment. The next Kick and Coffee event will take place on Friday, 2nd August.